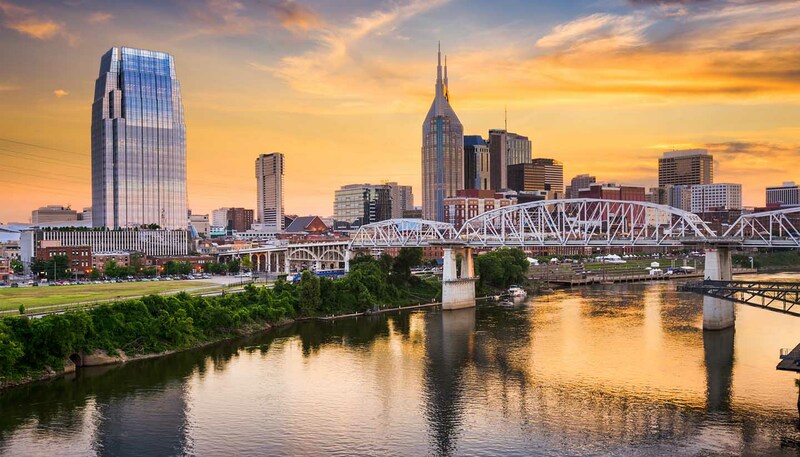 Tennessee has a generally mild climate year round, but still enjoys four distinct seasons. The average high temperature in winter is 9.4°C (49°F) and the average low is -1°C (30°F). In the summer, the average high temperature is 31.7°C (89°F) and the average low is 19.4°C (67°F). The average annual rainfall in Tennessee is 1,247mm (49.7in). Cottons and linens for the summer months and more substantial clothing for the winter.